You've come to the right place for residential and commercial projects - no job is too big or too small. We work for YOU to make sure that you get the highest quality workmanship, the best value for your money, the most efficient construction time, and most importantly, a STRESS FREE and pleasant building experience. Archway Carpentry LLC will walk you through each step of the process, including: planning, design, budgeting, material selection, and help with technical solutions. You will always receive a PERSONAL response to any questions or concerns, and comfort in knowing the work was done right the first time and on budget. 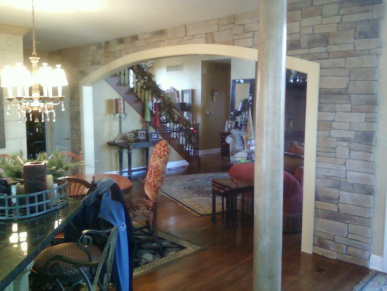 Added a custom arched entry in clients home. Archway Carpentry LLC is licensed and insured- servicing all of Central Missouri; References available. Cash, Check, and Major Credit Cards accepted.